We like gifts that keep on giving, and an annual membership to the ROM is an excellent present that the entire family can enjoy. 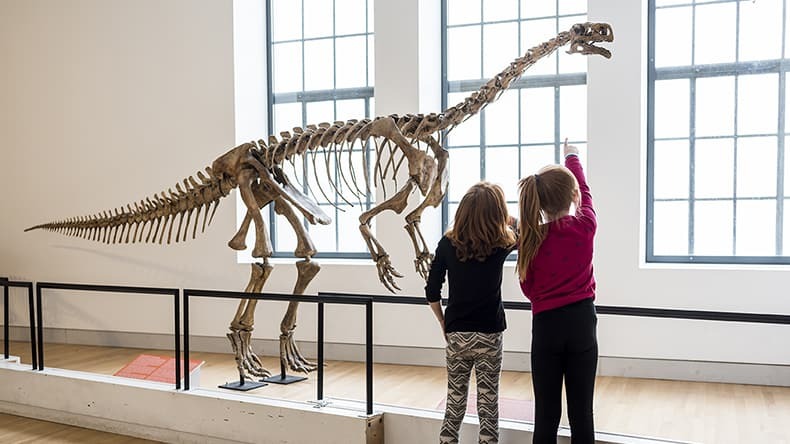 Whether you have a busy toddler who loves the dinos, or a grade-school kid who loves exploring chapters in history (and is maybe beginning to educate YOU), there is always a ton going on at the ROM, and this year’s holiday programming is proof of that. 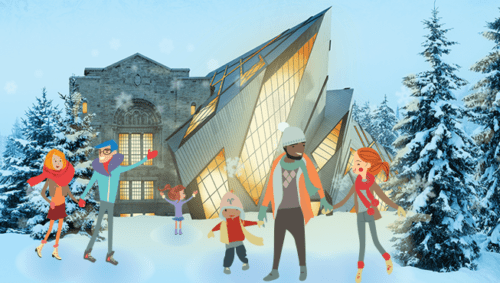 While much of the city quiets down for the next few weeks, the ROM welcomes all from December 26 to January 8 for days packed with entertainment, culture, and fun. For the wee ones: Sonshine and Broccoli will be performing their interactive and fun-filled musical shows! Digital spray-painting on enormous colouring pages: Pick your favourite winter image, then use cutting-edge technology from MakeLab to add colour and make it your own. Fire and Ice: Explore how fire and ice shape our natural world with touchable objects from the ROM’s collections—from volcanic glass to a polar bear skull! Frozen in Time: See incredible “glass” fossils of creatures that lived in the seas long before the dinosaurs, and learn how they reveal their prehistoric secrets. Let the natural world and the vibrant colours of Chihuly* inspire you to add a piece to the ROM’s collaborative installation. Lost on the Ice: Sail into the icy heart of a historical mystery: What happened to HMS Erebus in the cold Arctic waters? Decorate a holiday tree with origami creations, creatures, and crystals. Family Selfie Trail: Lights, camera, smile! 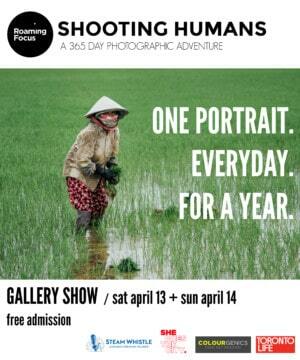 Explore the galleries while snapping photos of the highlights of your adventure. Can you find all our special spots? ROM Arcade: Take on family and friends with video games inspired by the ROM’s collections. Engage in a #ROMQuest and discover how people who inhabited this land in years past used their ingenuity to make the most of winter. Special thanks to ROM Friends of Canadian Collections. A Wild Time! Get up close and personal with wildlife as you learn animal facts with Hands on Exotics, a shelter that specializes in the care of exotic animals. Decompress in the Early Learners Lounge: a quiet space for young families to rest, nurse, and play. Drop-in activities are free with museum admission. WOAH! So much to do, see, and explore! And we haven’t even mentioned the actual exhibitions, which include the breathtaking colourful works of *Chihuly (last chance! It’s closing January 7th!) and the world-class images in this year’s Wildlife Photography Of The Year exhibit. On IG, LIKE and COMMENT on our ROM holiday photos! On Facebook, LIKE our post and leave a COMMENT that shares why you and your family would love a membership to the ROM. Experiential gifts are the best gifts! Especially when they mean everyone in the family gets to have fun and learn together. For more information on memberships, go here. For more details on holiday programming, go here. what a great Christmas present this would be! What a great present this would be – indoor fun with my girls! My little guy loves the dinos at the ROM and it’s time for us to start exploring some of the other rooms. My kids love the ROM! The dinosaurs are our family favs! My boys would love to win a family membership to the ROM to check out all the cool exhibits it has to offer, especially the dinosaurs! The ROM is so much fun! The ROM has been a favourite of mine since I was little. I would love a membership so I can bring my son there to explore all the exhibits. I love the ROM, I try to go at least once a month. I always took my kids and now my grand kids. So much to see and do and what a fun way to learn. My aunt took me there for the first time 45 years ago, and I fell in love instantly. I am so looking forward to the blue whale exhibit coming in the new year. Would love to WIN…especially because we’re back in Toronto full time now! Wow thank you so much for the chance!!! What a great giveaway! It’s impossible to see everything in one, or even two, visits. We haven’t been to ROM in years but would absolutely love to. So many amazing things to explore! Love the ROM and try to attend the major exhibits. 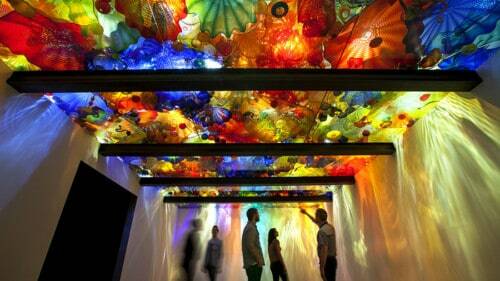 CHIHULY is stunningly beautiful. Had added the Franklin exhibit to the list of Christmas holiday must do’s. Haven’t been ot the ROM In years,I love going with my Mom, she absolutely LOVES THE ROM!!! With this membership, I could take the rest of my family also – Toronto has so many interesting places to visit! Thanks, ShedoestheCity.com for this great contest! Liked & Shared! I love the Rom. I’ve always had a fascination with dinosaurs and to see them as if they were, life-size is awesome. my two youngest have never been to the ROM and they are finally at a great age for a visit. What a great way to spend a family day on a cold winters day! Oh my – my toddlers love this place! Thank you for the chance! I would love to inspire inquiry and wonder in my children. Thank you for the chance.